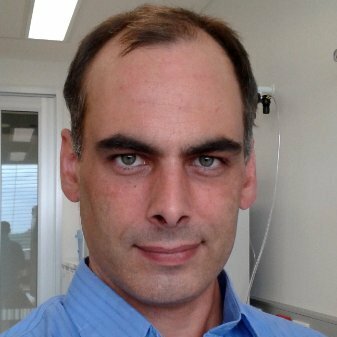 Dr Samuel McLenachan is the Senior Scientist of the Ocular Tissue Engineering Laboratory at the Lions Eye Institute in Perth, Western Australia. Dr McLenachan completed his undergraduate studies at Massey University in New Zealand, graduating with a Bachelor of Science degree with first class Honours and securing a scholarship to undertake his doctoral studies at the University of Melbourne. After completing his PhD in the Cell and Gene Therapy Laboratory at the Murdoch Children’s Research Institute, DrMcLenachan continued his research into stem cell biology and neuroregeneration at the Centre for Neuroscience at the University of Melbourne. In 2009, Dr McLenachan moved to Perth to take a position with the Ocular Immunology group at Lions Eye Institute before co-founding the Ocular Tissue Engineering Group with vitreoretinal surgeon and group leader Assoc Prof Fred Chen in 2011. Since 2011, Dr McLenachan’s research focus has been the development of cell and gene therapies for incurable retinal diseases, including age-related macular degeneration, retinitis pigmentosa and a range of inherited retinal diseases.